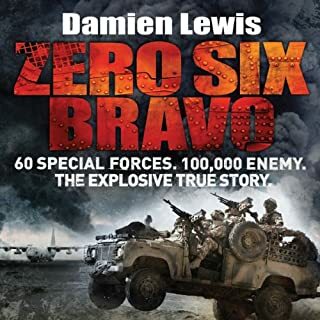 The explosive and #1 best-selling memoir that the American government tried to ban… Lieutenant Colonel Anthony Shaffer was part of a secret detachment of the US Army known as the 'Jedi Knights'. 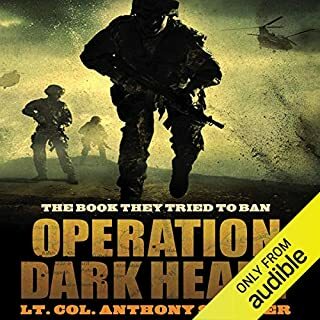 In Operation Dark Heart, he reveals for the first time, and in amazing detail, the otherwise secret world of black operations and clandestine intelligence plots conducted by the Western allies in an alien terrain against often undefinable enemies. 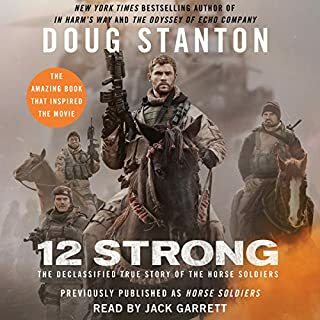 The army does not want you to listen to this book. It does not want to advertise its detention system that coddles enemy fighters while putting American soldiers at risk. It does not want to reveal the new lawyered-up Pentagon war ethic that prosecutes US soldiers and marines while setting free spies who kill Americans. This very system ambushed Captain Roger Hill and his men. US Military Shame, abonded honorable men! 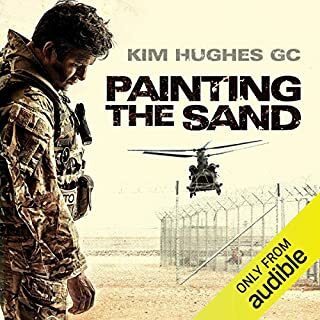 Kim Hughes is the most highly decorated bomb disposal operator serving in the British Army. 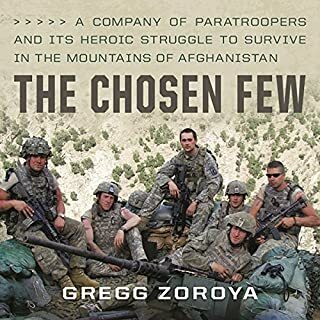 He was awarded the George Cross in 2009 following a gruelling six-month tour of duty in Afghanistan, during which he defused 119 improvised explosive devices, survived numerous Taliban ambushes and endured a close encounter with the Secretary of State for Defence. 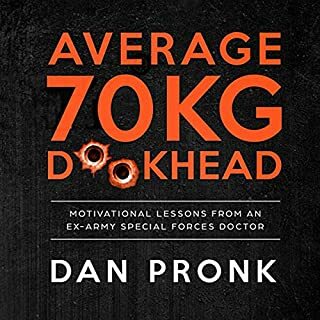 Average 70kg D--khead tracks key life events of Dr Dan Pronk from his beginnings as an average chubby kid, through his failed attempt at professional triathlon, onto becoming a doctor, joining army Special Forces, being decorated for his conduct in action in Afghanistan, and then onto his post-army career as a medical executive and co-owner of a multi-million-dollar business. 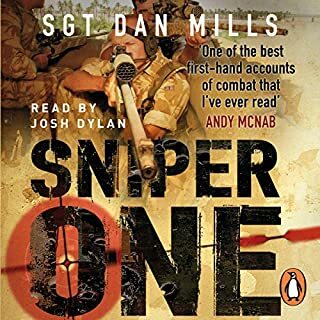 It takes a tough mind-set to be a successful sniper, to be able to dig in for days on your own as you wait for your target, to stay calm on a battlefield when you yourself have become the target the enemy most wants to take out. 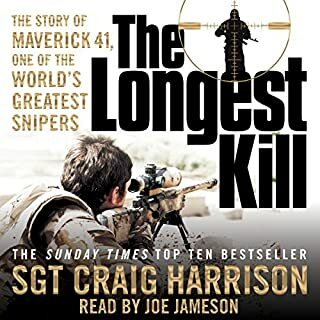 Craig Harrison has what it takes, and in November 2009 in Afghanistan, under intense pressure, he saved the lives of his comrades with the longest confirmed sniper kill - 2,475 metres, the length of 25 football pitches. Dillard Johnson was at the forefront of the 2003 invasion of Iraq. But surviving the enemy was only the beginning. Johnson would use the intensity, focus, and humor that kept him alive on the battlefield to fight stage three Hodgkin's Lymphoma. A man determined not to die, Johnson made a miraculous recovery - and then returned to Iraq for a second combat tour as an Army sniper. 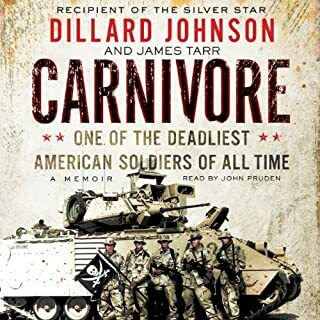 Funny and exciting, Carnivore offers fresh insight into the mind and heart of a warrior and offers a look at the lives of troops on the ground not seen before. In the fight, he showed himself to be a military maestro. A bush-lore genius, blessed with uncanny instincts and an unbridled determination to close with the enemy, he had no peers as a combat-tracker (and there was plenty of competition). But the Rhodesian theater was a fluid and volatile one in which he performed in almost every imaginable fighting role. After 12 years in the cauldron of war, his cause slipped from beneath him, and Rhodesia gave way to Zimbabwe. When the guns went quiet, Watt had won all his battles but lost the war. In this fascinating biography, we learn that in his twilight years, he is now concerned with saving wildlife on a continent where they are in continued danger and devoting himself to both the fauna and African people he cares so deeply about. Whilst I found the story an amazing account of bravery and sacrifice, the performance is slow. If you buy this audio book you can overcome this by placing it on 1.25 speed. It will then become bearable. finally a story captured so eloquently. a narrative through the Rhodesian war period well documented. Captured through the journey by a true War hero. just a shame the publishers couldn't get a narrator who could pronounce the names and places correctly. This is an outstanding insight into the tough fighting that happened in Rhodesia. The Rhodesian SAS and Darryl Watt will be forever immortalised as the greatest fighters in the world. It highlights the appalling political behaviour of the British Government during this time. How sad it is to know how bad things are now for the population of Zimbabwe. Democracy doesn't appear to be suitable for a "one size fits all" mentality in this world and Rhodesia will forever be an example of how removing a regime on principle can adversely affect the indigenous population. This is a great story. I found the narrators voice a bit monotonous however the content of the book is a remarkable story. 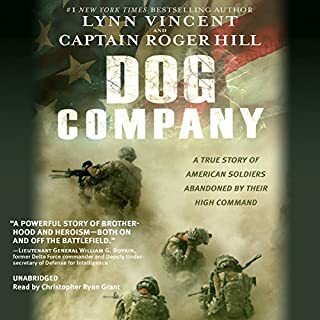 An amazing story of remarkable soldiers. These men are the salt of the earth. Tough bunch of men, learnt a lot about our war. 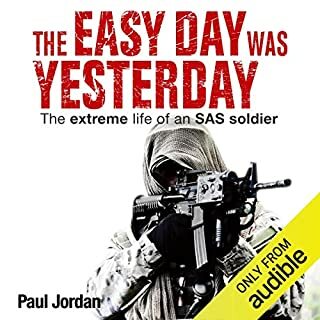 I never really knew what our SAS did during our war, it has certainly been an amazing experience to read of the missions and the hardship they faced. very brave men who went beyond the call of duty. They should have all been highly decorated, I stand and salute you all. Well told story of a little known war with insightful background on poor diplomatic decisions. Pity about the American accent and pronunciation of the Southern African names and places. Fantastic topic that is rarely touched upon. Unfortunately, narration was somewhat disappointing. The narrators voice is rather monotonous and he was unable to pronounce many of the african names and place correctly. In a few instances this left me wondering who or where he was describing. I give the content a 5 and the narration a 2. Amazing book. 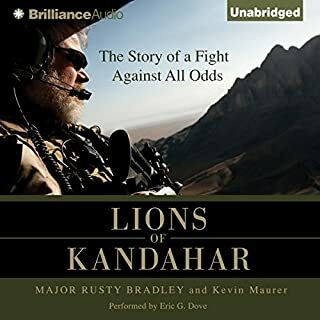 Amazing story about amazing men beating unbeatable odds in a tough battle in a wild land. A frustratingly accurate recollection. Wouldn't recommend it for those on the diaspora - no doubt it will stir up some raw emotion. the narrator butchered the names of both people and places. What a story! The book is not for the lighthearted. 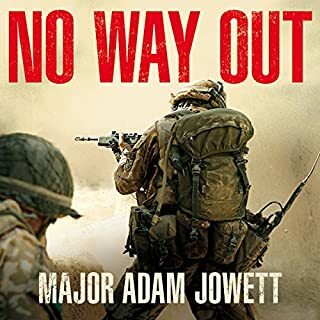 Tells the story from the perspective of the Rhodesian SAS, which some may find objectionable philosophically, and in deed. However, it also reveals the other side of the events-- the complicity of neighbors, the role of South Africa, Cuba, the Soviet Union and the UK/US/UN. Like the sinking of the Titanic we know the ending, but with a continuing vengeful twist not envisioned by the world players. As the book progressed I grew accustomed to the narrator's slow reading and lack of inflection. 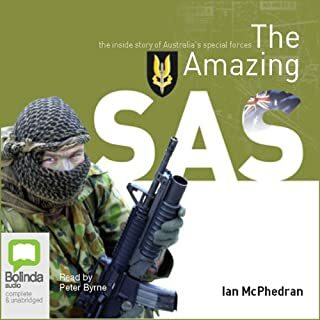 This was an excellent conglomeration of stories from the Rhodesian SAS. Narration, not so lively. Loved the book. It goes into very good detail which keeps you hooked. Sad story about how a country was sold out by the Brits, shame on Thatcher, kerrington and the rest of the vile Brits. Outstanding narrative and very clear narrator. A compelling story from a perspective I was not fully aware of. Must read! I have no idea why some people think the narrator is wrong for this great book; he reads at a nice easy pace, and has a soothing voice. The book itself is a real gem; a nonfiction account of the Rhodesian War told through the eyes of actual SAS operators. One of those rare nonfiction works that is so well done it reads like a good fiction novel. 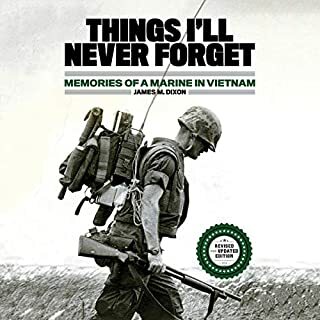 I love both fiction and non-fiction works about special forces operations in Vietnam, for example, but I started this book knowing absolutely nothing about the war in Rhodesia. No problem. 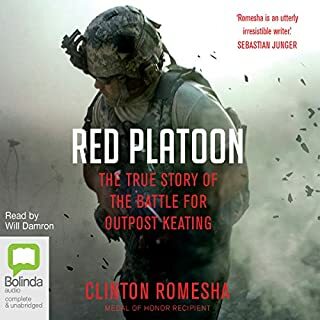 The book starts out with a brief telling of the political history leading up to the war, and then each chapter tells all about an operation or battle in vivid detail, then a little about the political fallout and impact of the battle. 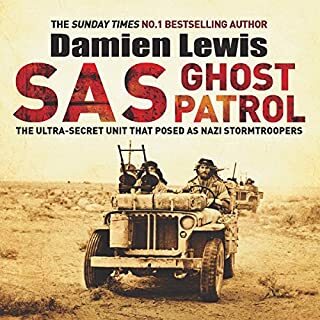 By the end of the book it’s clear that the war was very winnable for the Rhodesians, but the politicians always stopped the SAS just short of outright victory. The war was eventually lost, even though nearly every individual battle was won. For students of the Vietnam conflict, this will be a familiar theme. Outstanding book. I can’t recommend it highly enough! This is a most remarkable tale of such casual heroism that very few people know about. Its a tragic precursor of outcomes whenever the globalist agenda runs its course. I wish I had read this book 30 years ago. This was a very compelling book about some hard fighting that crossed borders from Rhodesia to Zambia and Mozambique. A great overview of the fighting and it points out the fact the people who were fighting under Robert Mugabe were targeting civilian farmers and killing them. The book points out the fact that there is the evil you know, and the evil you don't know. Amazing account of the Rhidesian bush war smattered with political treachery from its once allies. Its fighting men were the best in the world and these accounts show it. A sad loss of a great country that has now decayed into what is now Zimbabwe. 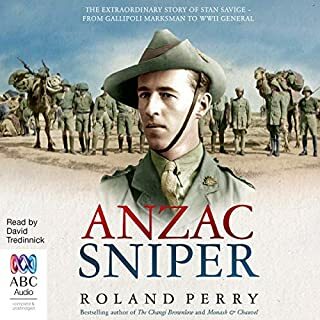 This is the only audiobook that I have bought that I listened to and finished and then turned around and listened to again right afterwards, and I have listened to many audiobooks. The narrator was great and didn’t talk to fast. I really enjoyed the part about Luke in Mozambique. 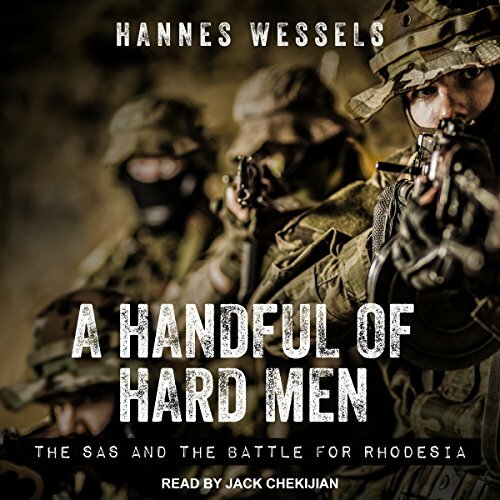 It is really a shame that there are no other audiobooks about the Rhodesian Bush War available because it was about the only “just war” that a country in the Anglosphere has fought since WW2, and it was sabotaged by the elites of London and DC . RHODESIANS NEVER DIE! I grew up in Rhodesia during the war and stayed Zimbabwe a few years after. My dad was in the military during that period and I remember when was he was call up and the tension it brought. There were many unsung heroes who in different circumstances would have got the recognition they deserve. The betrayal and duplicity of Britain and the "globalist" west rings out loud and now is coming to rest on their doorstep. I salute the SAS, RLI and Scouts who took the fight to enemy and never wavered in our fight. I have listened to nearly 50 Audible titles over the last year and this is easily the worst narration I have heard. Hearing the story told in an American accent would be jarring in any circumstances but in this instance is made much worse by the narrator mangling and mispronouncing so many terms and names. If I wasn't so interested in the story, I would abandon listening. What a shame. Total rubbish don't waste your money!! I can't imagine anyone would find this interesting. What was most disappointing about Hannes Wessels’s story? The Narration was shocking, my 8 year old could read better. This will send you to sleep. What didn’t you like about Jack Chekijian’s performance? It was rubbish, he should never work again. this might have been a good story but he killed it. Disappointment, it is becoming a lottery if I waste my credit or not. seriously considering stopping my Audible. I'd like my credit back. Listen to it and you will know why. first chapter and i am struggling with the narrator. by far the worst i have heard. i would prefer to listen to my 8 year old read this and it take 10 days rather than listen to this fella read a book again. I can’t even get past chapter 5!! I lived through this time as a child and was interested to hear this book but sadly the narration was so poor I couldn’t continue. A number of words are lost as the narrator is unable to pronounce a number of words correctly this los MH the overall sense of where this story takes place. If Jack Chekijian appeared to at least enjoy reading the story to an expectant audience this book may well have had a chance. I may purchase the Kindle version to see. I could not get into the story due to the lack of drama in the voice of Jack Chekijian. It may well have done if I could get past Jack Chekijian’s performance. I will try the kindle version and see. The story is fantastic and extremely educational if you don't know much about Rhodesia and the SAS as I didn't. However, this being the audio version the narrator is highly important and unfortunately let's this book down. The narrative is excellent but the narrator has managed to turn a spectacular story into something quite boring to listen to. That and his inability to pronounce certain words makes it's quite difficult to continue to listen. Voice is so boring, I could not even finish this book. Do not listen to whilst driving or operating heavy machinery.